Back when I started as a trainer, circuit training meant light-weight, high-rep training with a row of machines. We used this style of training for newbies, general fitness people and busy business people. As a result, those of us trying to build muscle, get ripped or improve performance would not bother with circuits. However, there are a lot better ways of doing circuit training. Here is how you can use hard-core athletic-based circuit training to burn fat, build muscle and improve performance in an extremely time-efficient manner. Normally, people will do all the sets of their first exercise and then proceed through the rest of that day's exercises in the manner. With circuit training, you would do one set of the first exercise, then move to the next exercise for one set and continue in this manner until you have completed all the exercises in a circuit. Then, when you have completed the circuit, you could start back again at the beginning and repeat the circuit as many times as desired. Super-circuits are done with cardio between each exercise. This is great for the general fitness context as you can essentially keep your heart rate up and thus your 20-30 min of exercise includes both cardio and resistance training. The downside for anyone beyond a "general fitness" goal is that this type of training will result in only modest improvements in strength, cardio and muscular endurance. Like many things in the fitness industry, circuit training was adopted primarily for the financial benefits. Prior to this, effective marketing strategies by the exercise equipment companies had already convinced gym owners that free weights are a dangerous lawsuit waiting to happen. 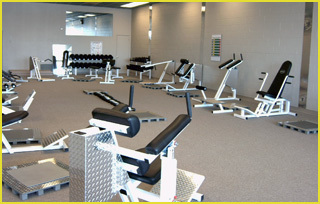 With circuit training, you could simply have a row of machines. When members would come in, you could start at the first machine and simply heard them through the row of machines like cattle at a feed lot. This allows an efficient way to get a high volume of members in and out of your gym as quickly as possible. It also allowed gyms to hire inexperienced and under-qualified trainers (who basically just had to know how to use the 10 machines in the circuit) at a low wage. However, circuit training can be much more than this. While circuit training was traditionally done with machines, you can make it much more functional. For many circuits, low-set-up-intensive tools work best. Body weight exercises (e.g. pull-ups, dips) work fantastic. Grab-and-lift items such as dumbbells, kettlebells and pre-set barbells are also ideal. Cable stacks can also be effective as it just means a quick adjustment of the weight stack and the appropriate handle. Some plate loading barbell exercises can work well in a circuit if the gym is not too crowded. This is especially true for exercises where you start with a barbell on the floor and do not need a rack or bench (e.g. deadlifts or a press where you clean the weight to your shoulders, bent-over rows). Ideally set up your session where you have other tools (e.g. dumbbells, kettlebells) near by where your barbell is located. If however, you tried doing barbell bench press in a circuit in most gyms (especially at 5pm on a Monday - which is smack in the middle of international chest day), you will likely have your bench and bar taken by the time you get back to bench press. You may also find your barbell set up in the squat rack being used by someone who finished training his chest early and thought that the squat rack was actually a curl rack. With the exception of high school kids and university students who like to procrastinate on term papers and exams, almost everyone needs to be very time efficient in their training. Life is full and we have to maximize our return on every minute we invest in training. One of the greatest benefits of circuit training is time efficiency. You end up spending the time you would rest between sets doing other exercises. In short, you can get more productive work done in the same amount of time or the same amount of work done in less time. Depending on how you used to train, you may even find that you get both more work done and do it in less time. Most people get the idea that circuit training is helpful for fat loss, but they do not go about it in the right way. If you want to strip fat off your body, pick 3-5 big, hard exercises and do them in a circuit. Skip high reps that are often recommended and do about 6-10 reps per exercise. Also, try to bump up the number of circuits you are doing (e.g. 4-6 instead of 1-3). When doing circuits for fat loss, don't be afraid to have a short rest (e.g. 30-45sec) between each exercise. Forget about trying to turn your weight training into cardio. A short rest between exercises will reduce total-body fatigue enough to prevent fatigue from the previous exercise from limiting the weight you use on the next one. Circuit training will kick your metabolism into over-drive, boost EPOC through the roof and leave you burning extra fat and calories long after you finish your time-efficient session. Hypertrophy training was one area that I never used to think mixed with circuit training. However, after reading some of Chad Waterbury's work, and personal experimentation, I have found that circuits could even work well for hypertrophy. When training for muscle size, you still want fairly heavy weight, but increasing the volume is also often quite helpful. Hypertrophy circuits allow you to get this in a time-efficient manner. Most athletes have huge demands on their schedules. My athletes have practices, games, school, community service and sometimes part-time jobs that they are trying to juggle in addition to training. Also, if you are an athlete, you must never forget that the most important thing you can do to improve your sport performance is to play and practice your sport. Time-efficient training is essential for athletes. To accomplish this, I often use circuits. Many times I will use separate circuits for main and accessory exercises. I first learned about using circuit training for strength from Dr. Tudor Bompa and have since then also been influenced by Waterbury's work. As mentioned previously, circuit training is often done with high reps, light-weight and inferior exercises. However, it can be very helpful for strength if you change some key variables. Strength training means avoiding fatigue so you can lifts as much weight as possible. As a result, long rest intervals are often recommended. However usually means people are standing around doing nothing while they wait their traditional 3-5 min. However, with circuits, you can spend that same amount of time doing other exercises that minimally interfere with each other. Similar to strength, power training also requires complete recovery. One of the most common mistakes I see with power training is people simply not resting long enough to fully recover. As a result, power training simply becomes a fancy way of conditioning that does not improve explosiveness. Circuits again allow a more efficient use of time while maintaining the needed rest intervals. When training whole teams or large groups of athletes, circuit training can also be an effective option. I set up the number of stations in the circuit depending on the size of the group and the available equipment. Note: check out my YouTube channel for exercises listed above in the sample programs that you are not familiar with. There are many cool ways to do circuit training to help you get to many common training goals. This just may be the most time-efficient and effective training you have ever done! Enjoy.